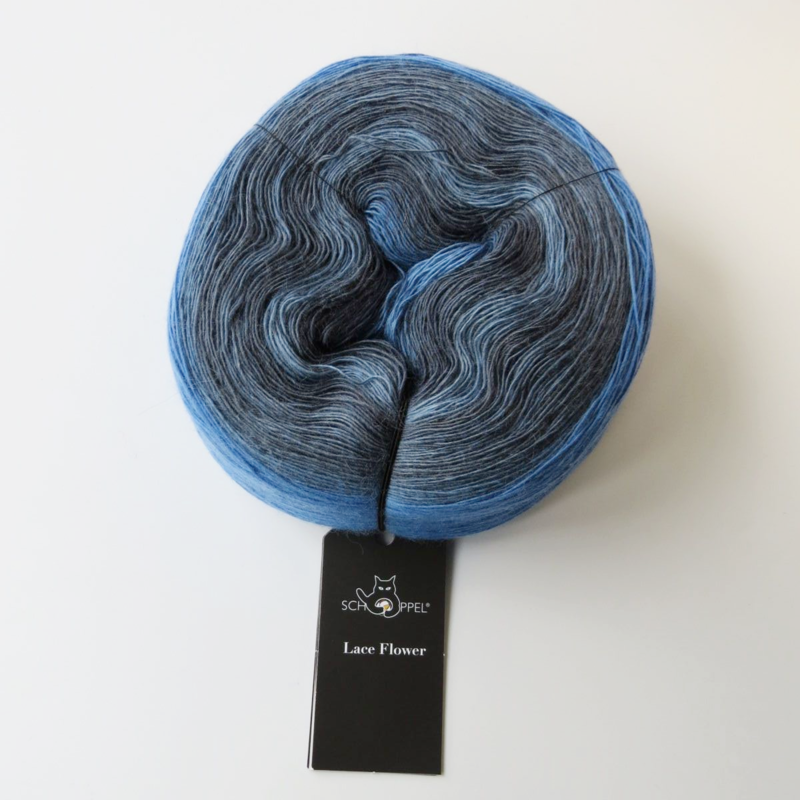 'Rauchzeichen', a subtle gradient of blues to greys. 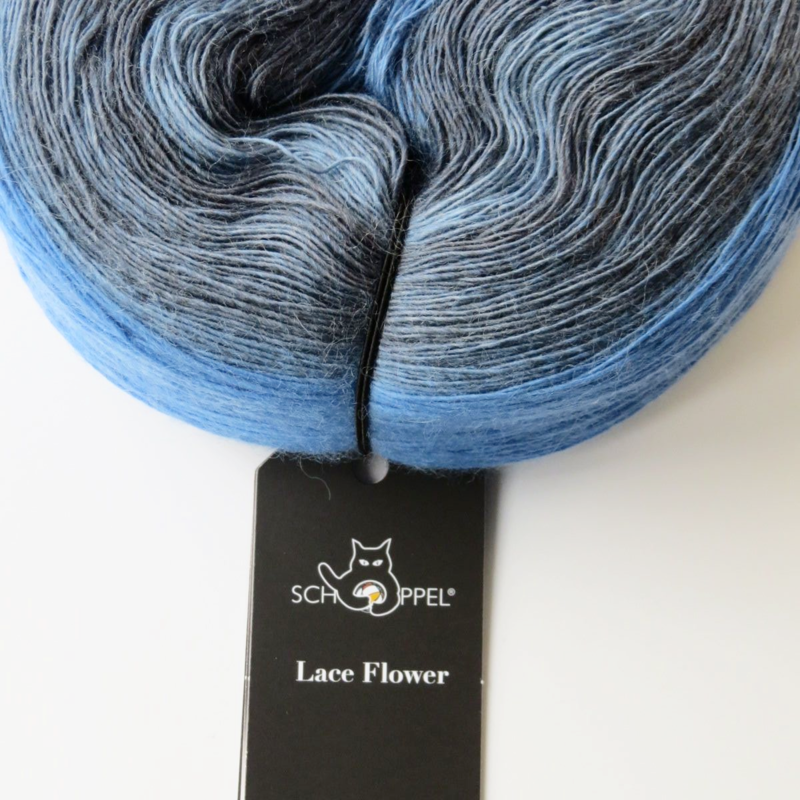 LACE FLOWER by Schoppel-Wolle is a new addition to the ZAUBERBALL family. 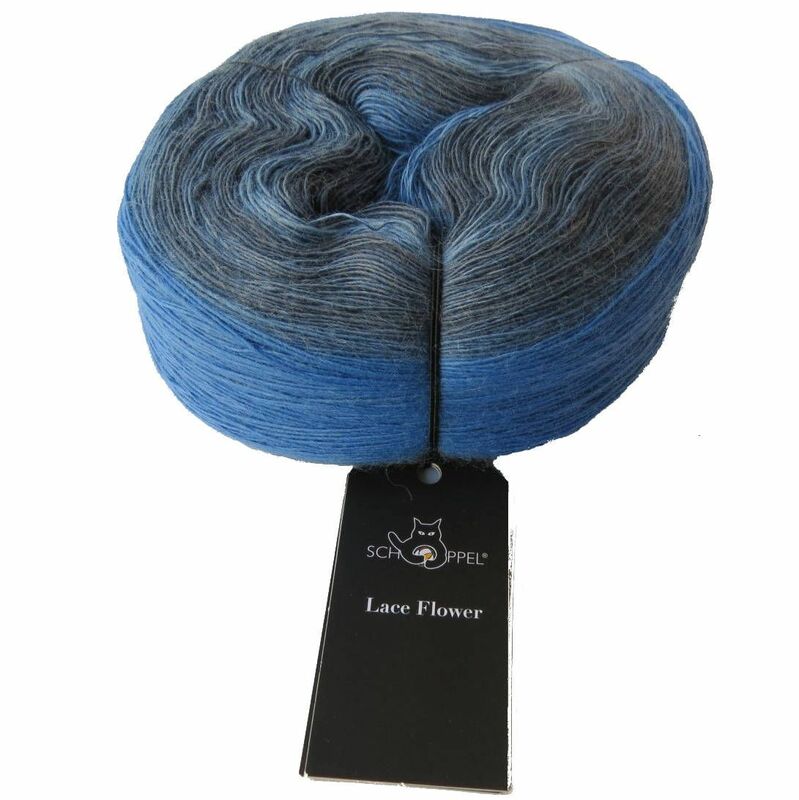 With colour in abundance, Lace Flower is fine merino wool in a gorgeous gradient-dyed cake, just perfect for knitting or crocheting fine shawls.